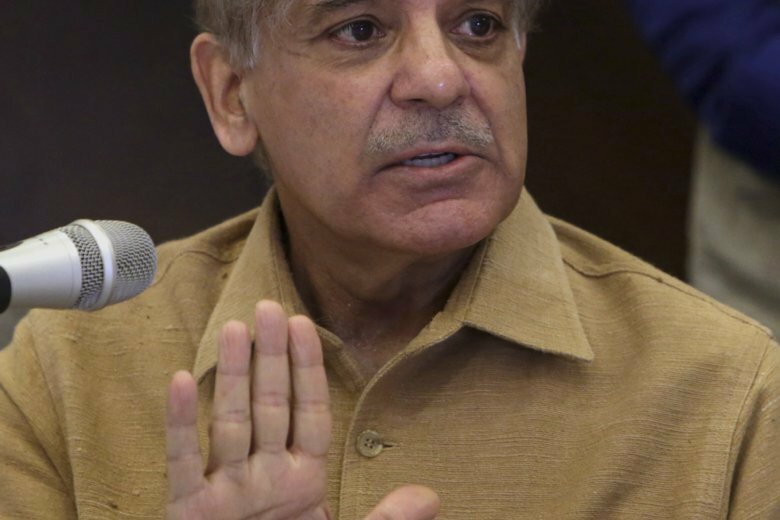 LAHORE, Pakistan (AP) — Pakistan’s anti-graft body announced on Friday that it had arrested the country’s opposition leader, Shahbaz Sharif, over his alleged links to a multi-million dollar housing scam. It was the first high-profile arrest in a corruption case since former cricket star Imran Khan became prime minister following July’s elections. He ran on a “new Pakistan” platform, vowing to rid the country of corruption. The arrest drew condemnation from Sharif’s Pakistan Muslim League party, which said the government was targeting Sharif for political reasons. Malik Mohammad Ahmed, a spokesman for Sharif, said their leader was not involved in any wrongdoing. “We will prove that allegations against Shahbaz Sharif are baseless,” he said. However, Information Minister Fawad Chaudhry said there was “solid evidence” against Sharif. Hours after Sharif’s arrest, dozens of his supporters rallied outside the offices of the National Accountability Bureau, where Sharif was being held. Authorities will present him before a court on Saturday to obtain formal permission to question Sharif for two weeks. Sharif is the younger brother of former premier Nawaz Sharif who was disqualified from his position in 2017 over corruption charges. He is the leader of the opposition in the National Assembly. Friday’s arrest came months after authorities arrested two key former officials in connection with the same alleged scam. It is believed that Sharif’s arrest was made in the light of their statements against him, despite Sharif having earlier said he did not award contracts to his political allies.